The wild stock market ride of B.C. 's Tilray is an example of the kind of stomach-churning volatility investors in the cannabis space have come to expect. But come Oct. 17, the speculation that's driving those ups and downs will start to change course, Peter Armstrong writes. 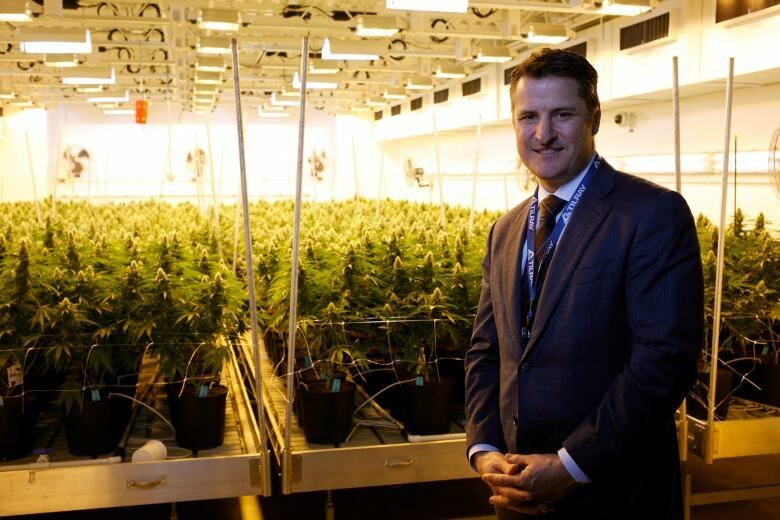 Pot company Tilray is showing the world why investing in cannabis is not for the faint of heart. The Nanaimo, B.C., company's stock exploded last week. Its price doubled to $300 US per share in less than two days, becoming the most valuable cannabis company in the world before falling back below where it started the week. It's the kind of stomach-churning volatility investors in the cannabis space have come to expect. The sector is dominated by companies that are spending loads of money but aren't yet bringing in much revenue. A stock's surge is almost entirely a bet on the future. "What's going on right now has happened before," says Chris Damas, editor of BCMI Cannabis Report. "It usually ends badly because human beings are not very good at valuing the future." A notorious example being the overheated hype that led to the dot-com bust in the early 2000s. 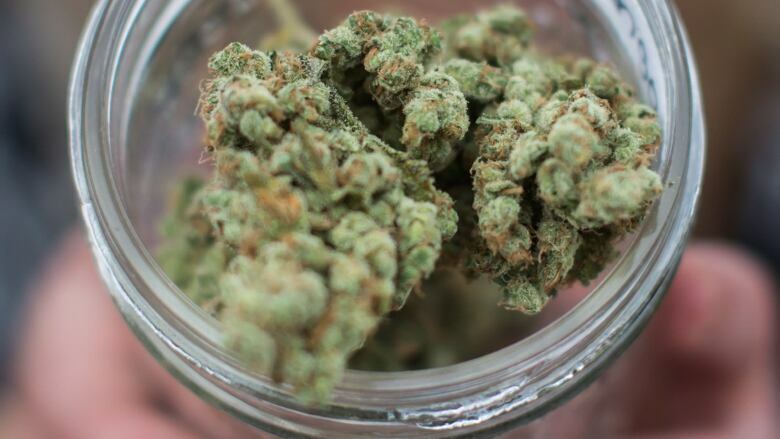 At its peak, Tilray was worth more than $25 billion. It has since fallen to around $12 billion. Canadian rival Canopy Growth has regained the title of the most valuable cannabis company, with a market cap of $15 billion. And Alberta's Aurora Cannabis comes in at $11.5 billion. But consider those numbers for a moment. That's a huge amount of money. Construction giant SNC-Lavalin is worth $9.3 billion. Canadian Tire, with nearly $3 billion in annual sales, is worth $10.2 billion. Famed investor Warren Buffett is fond of quoting his former mentor, Benjamin Graham, who said in the short term, stocks are a voting machine. But in the long term, they are a weighing machine. "I think really we're in the voting stage," Damas says, meaning investing in cannabis companies is essentially a popularity contest. But the weighing will begin Oct. 17, when recreational cannabis use becomes legal in Canada. Then, for the first time, many cannabis companies will have to actually deliver. Investors will be able to move away from speculation and assess stocks based on sales and earnings per share — the fundamentals that usually drive a stock's price. However, that doesn't mean speculation will disappear from the industry. Investors will just shift what they're speculating about. Chuck Rifici is one of the sector's biggest and earliest investors. He co-founded Tweed, which went on to become Canopy Growth. He says the speculation is already moving from thinking domestically to evaluating which companies will be in a position to profit from international growth. "I think the global market is quite large," he says. "I think it's underestimated." Analysts say Canada's cannabis sector could be worth anywhere from $4 billion to $12 billion this year. Brightfield Group, a Florida-based market research firm focused specifically on cannabis, predicts the global medical marijuana market will quadruple to $40.6 billion by 2021. This is a very real industry with a real market," Rifici says. 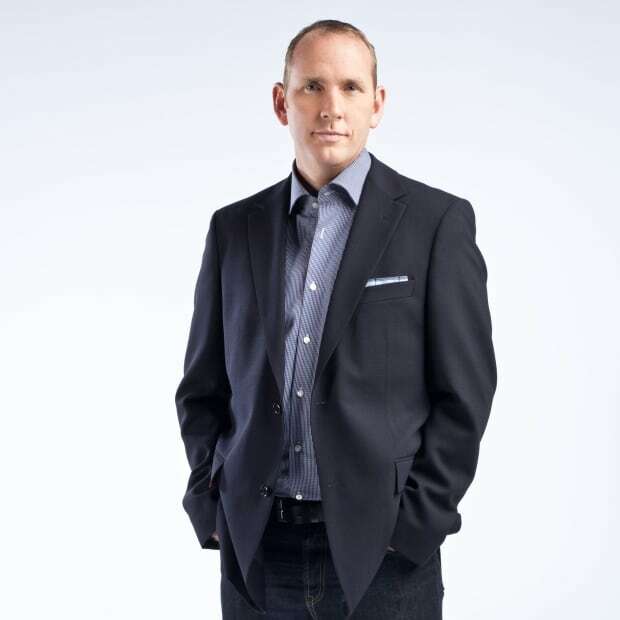 "We are going to have dominant multinational companies and most likely several of those will be Canadian." So, the next challenge that will drive stock prices is using the new data to pick those global leaders. Measuring the gap between current earnings and future possibility is part of investing in a speculative world like the cannabis industry. 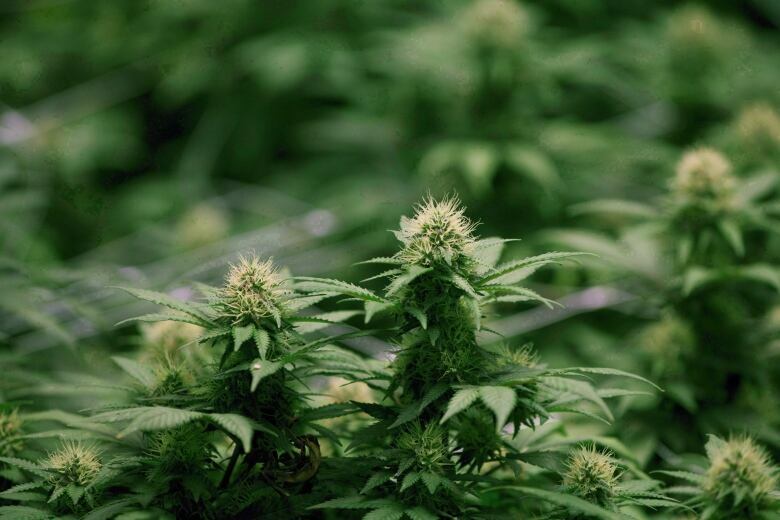 Tilray's wild ride came amid news that the U.S. Food And Drug Administration gave it permission to export medical cannabis products south of the border for clinical trials. The stock was propelled even further when the company's CEO went on financial news channel CNBC and speculated that big pharmaceutical companies would soon begin investing in cannabis. The not-so-subtle suggestion being big pharma will be looking to spend big money to buy up cannabis companies. CEO Brendan Kennedy told CNBC's Jim Cramer that the pharmaceutical industry needs to think about cannabis as a "hedge." "Cannabis is a substitute for prescription painkillers, prescription opioids, and so if you're an investor in a pharmaceutical company or you're a pharmaceutical company, you have to hedge the offset from cannabis substitution," Kennedy said. Then, quite suddenly, Tilray stock plummeted back to earth. Investors may have become nervous there was a lack of substance to justify such a rapid rise, at least at this stage. One thing that sets Tilray apart from some of the other cannabis companies is where it's listed. 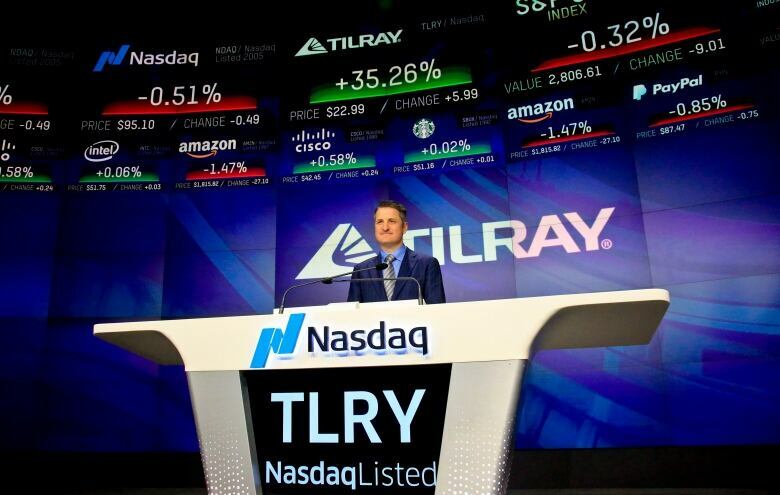 Tilray is traded on the Nasdaq in the U.S. But many of its competitors are traded on Canada's TSX. As the cannabis sector heated up, big institutional money managers started investing. In Canada, there are plenty of options, but in the U.S., Tilray is one of only a few choices available. "(There's) a lot of institutional interest south of the border and there's a lot of funds and capital that feels the need to play in cannabis," Rifici says. "But it only wants to invest on the U.S. markets and there are very few names." He says it's a simple issue of supply and demand. So, on the upside, at least some of the basic rules of economics and investment are still in play.